Only one week a year, the Óbuda-island, in the middle of dazzling Budapest in Hungary, gets transformed into one big festival site. Welcome at the Island of Freedom. Get ready for one of the biggest music festivals in Europe! But Sziget is more than ‘just’ a music festival. Imagine yourself on the island in a world of theater, circus, art, culture, spirituality and sports and visit one of the many restaurants, bars and coffee houses. Discover new artists on the World Music Stage, rave in the Colosseum, tan and take a swim at Sziget Beach or get married with a stranger in the one and only Sziget Chapel. Last edition attracted more than 550,000 ‘Szitizens’ from all over the world. 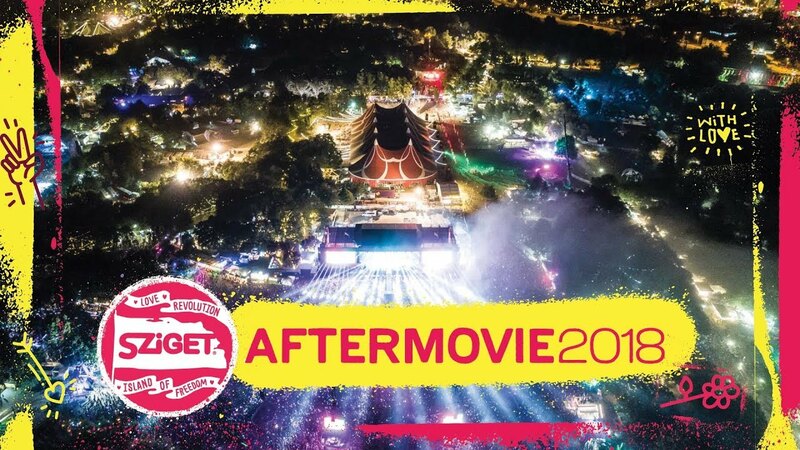 Sziget will celebrate her 27th anniversary this summer from 7 to 13 August 2019 in Budapest, Hungary. The Sziget Festival takes place at the Óbuda-Island, nearby the centre of Budapest. The climate of Hungary can be described as typical European continental influenced climate with warm, dry summers and fairly cold winters. Budapest offers a huge range of touristic attractions and has a very bubbly cultural scene. Especially the ruin bars, swimming pools and bathhouses are very popular among tourists. The festival site is easily accessible by subway, followed by the known HEV-train. The Sziget Express will go again in 2019! A train, filled with enthusiastic festival minded people, ready to have the time their life. On board we have a bar, DJs and entertainment. Tickets for the Sziget Express can soon be found and bought below. You can find more information at the Sziget Express page. For your own safety, please don’t park your car just somewhere in the surroundings of the festival terrain. Instead, we would recommend to park your car in the city nearby and travel further with the public transport or to park your car in one of our secured parkings. Since we also offer this, you can purchase your parking ticket at the Sziget webshop. For more information go to the Sziget Parking page. One of the accommodations of the Sziget Glamping is the perfect choice for you if you want to stay at the festival site but have more luxury and sleep in cozy houses, caravans or wooden huts during the festival. When does Sziget 2019 take place? The Sziget Festival takes place from August 7 to 13, 2019. A 7-Day Pass allows you to enter the festival site from Wednesday August 7th at 10 AM. A 5-Day Pass allows you to enter the festival site from Friday August 9th at 6 AM. The last acts will perform during the night of Tuesday the 13th on Wednesday the 14th. Everyone is requested to leave the festival terrain on Wednesday morning at 8 AM. What is the minimum approved age of a Sziget visitor? Sziget Festival does not know a minimum approved age, but children below 14 years old cannot enter the festival terrain without the guidance of an adult. Children below 11 years old are allowed to enter the festival for free. How can I pay at this year’s Sziget Festival? The only way to pay at the Sziget Festival is with your festival bracelet. The electronic currency can be picked up at the many charging points. Here, you can top-up the pass with cash or debit/credit cards. You can also top-up your credit through the official Sziget Festival app. What is the exact location of the Sziget Festival? Majus 9. Park, Óbuda-Island, 1033 Budapest, Hungary. On the tickets you can find the name of the person who purchased the tickets, not to whom the ticket belongs. As the tickets are scanned at the entrance of the festival, the barcodes will get checked to verify the tickets’ validity. Subsequently they can check the system to check the name of the ticket holder. Does a ticket change its’ owner? Please let the ticket provider (Paylogic) know by mail sziget@paylogic.eu. Lost your ticket? Send an e-mail (with the address of the order) to sziget@paylogic.eu. Don’t forget to mention the order number and proof of your payment. Paylogic will look up your order, block the old tickets and send you new ones. Questions about the Sziget Express can be found on the Sziget Express page.